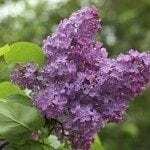 I have an overgrown lilac bush, 10-15 ft tall. It is currently an eyesore. Can I cut it to ground level now (mid July) without killing it?